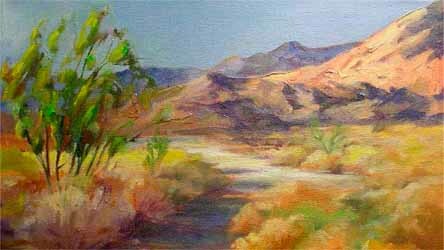 Welcome to California Desert Art, an online magazine and gathering place for desert rats, collectors, historians, artists and anyone who loves the early painters of the desert. This is where landscape, history and art come together under the brow of Mount San Jacinto. Here you’ll also meet contemporary desert artists who are keeping the plein air (“in the open air”) tradition alive. While the early landscape painters of Laguna, Carmel and Santa Fe are better known, Palm Springs was the apex of an equally important movement. From the early 1900s through the 1950s and beyond, hundreds of artists settled in the desert or passed through with their paints. The Impressionists who roamed California (many of them trained in France during the heyday of Impressionism) liked to test their skills on the desert dunes and furry cholla. It was part of a painter’s initiation. While the Eucalyptus School prevailed on the coast, what we had here could be called the Smoketree School. In fact, we’ll call it that. The desert artists are now on the radars of art collectors. Auction prices are rising; and swap meet “pickers” who scavenge for vintage surfboards are now also sleuthing for canvases with the distinctive purple verbena trailing across dunes. This site is about art, but it’s also about place. 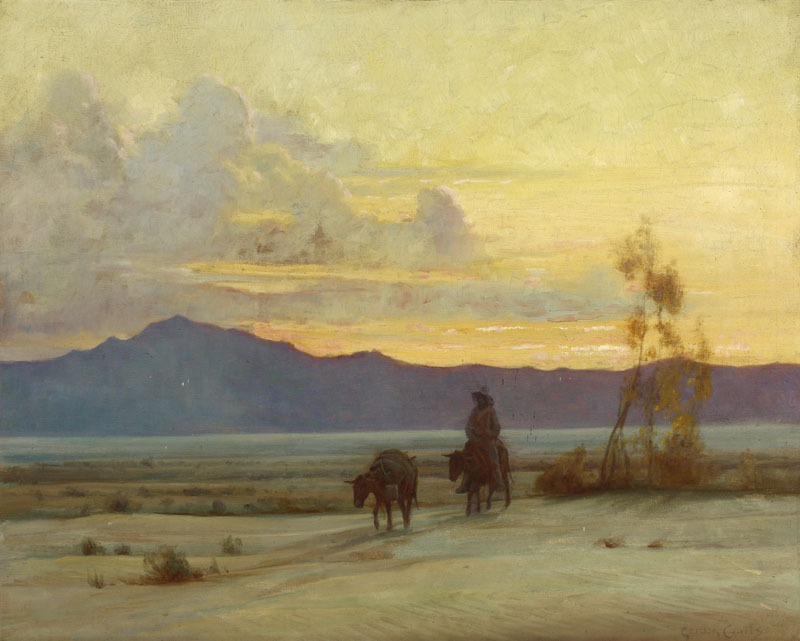 We’re telling the story of the California desert via the paintings and painters. Herein are all the big themes of the West—the surveys, the railroads, the cowboys, the Indians, folklore, myth and above all landscape. The land is the main player here, so we’ll explore the places that inspired all this fecundity: the north shore of the Salton Sea, the hidden palm oases of the Mecca Hills, the north face of Mount San Jac. There’s adventure in the mix, too, because it wasn’t always easy to get there. Our goal is to unite the fanatics and create more obsessive fans of this art, unearthing stories along the way. If someday people refer to the “The Smoketree School” in the same breath as The Taos Society, we will have done our jobs.